Flavor profile: Thick, creamy, and intensely herby. Good in: Vinaigrettes. Also good rubbed under chicken skin before roasting and stirred into beef, lamb, or pork stew before the end of cooking. Flavor profile: Slightly sweet; mellow, but with heat beneath. Good in: Roasted meats, especially pork and chicken; grilled ham and brie sandwiches; a side dish of sautéed mushrooms (mix in a spoonful of cream too). Flavor profile: Hot, with a pleasantly beery afterglow and a lemony tang. Good in: Hot dogs and burgers. Not surprisingly, it’s a great bridge to a nice cold beer. Flavor profile: Feisty horseradish-like kick, tempered by acidity. 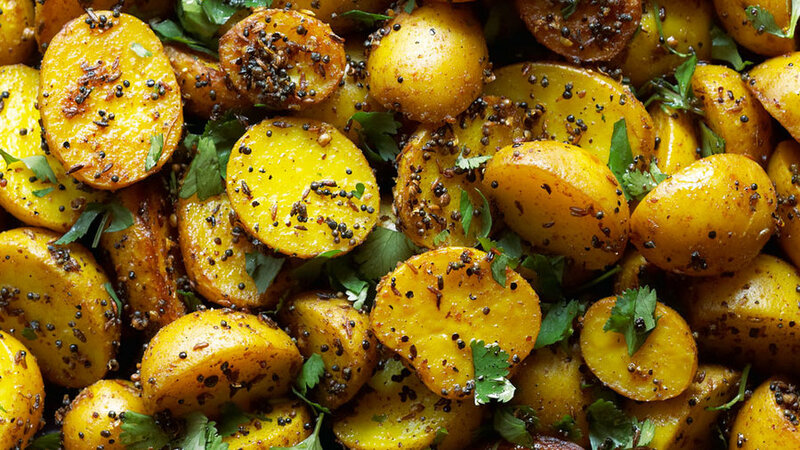 Good in: Just about everything—use in place of your favorite spicy table mustard. Flavor profile: Similar to honey mustard, but with a softer sweetness. Toasted black mustard seeds give it crunch and intrigue. Good in: Chilled pork tenderloin; warm grilled potato salad. Flavor profile: Smoky and fruity from the chipotle chile, and fiery hot. Good in: Grilled chicken breasts; pita sandwiches with grilled lamb and arugula; beef tacos. Use when you want a whole-grain, crunchy texture. The three types are yellow, aka white (Sinapis alba), the mildest and used mainly in American-style mustards and for pickling; brown (Brassica juncea), zestier and used in European-style mustards (like Dijon), for pickling, and in Indian cooking; and black (B. nigra), also used in Indian food; they’re interchangeable with the brown. Seeds need to soften in liquid for 1 to 2 days before you make mustard with them. For silky smooth mustard. It’s nothing more than ground mustard seed, and the most common brand is Colman’s, a blend of brown and white seeds. Mix it with liquid (like water or beer) and let sit overnight to hydrate and develop flavor. Don’t let it sit longer, though, or it will taste harsh. How long does homemade mustard keep? All are fine for at least 2 weeks, covered and chilled airtight. The flavor stays the same, but some mustards get a little thicker (whisk in a tiny bit of water to loosen it back up).